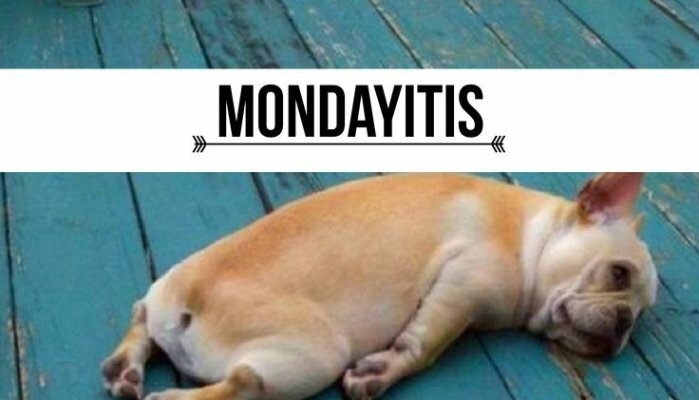 “Mondayitis” is the feeling of lethargic, feeling out of place, unorganised and unmotivated like many people experience upon the return to work after the weekend. Tip 1. Don’t sleep in on the weekends. When we have sleep-ins on the weekend, it temporarily resets the body clock, causing the sleeping system to go all out of order and preparing the body for the “Monday blues”. According to the new study from Flinders University in Adelaide, researchers believed that the common “down” feeling associated with Mondays may be related more to sleeping patterns. They have discovered that the depression that people feel at the start of the week has a lot to do with our weekday sleeping habits. Having regular sleep produces stable mood and better health. 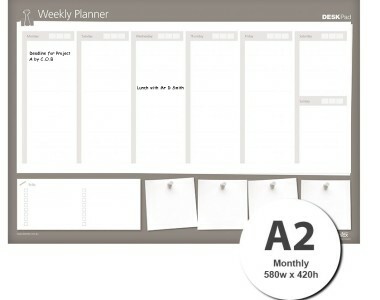 It seems like a daunting task but by planning your week ahead relieves the stress building up in your mind. On Sunday, make a list of tasks that you want or need to do, such as deadlines or meetings, to ensure your weekdays are well-organised. Planning ahead will eliminate the procrastination and increase productivity for the week, therefore reducing your cluttered mind before your sleep and before starting your week. Start your Monday by doing something that inspires you. Have something nourishing and delicious for breakfast, read a short motivational quote, dance to your favourite music or even smile at yourself in the mirror. It sounds simple but you first need to have the intention of starting your Monday with a positive attitude and develop this into a ritual mindset if you can. Remember, Monday’s are all about resetting the button and start with a clean slate. Prior to getting into your heavy workload, tidy up your work space, sort out your filing and get rid of unnecessary items from your desk. 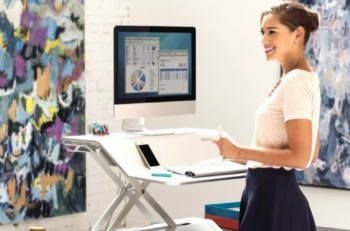 Having a messy workspace can be counter-productive and can clutter your mind leaving you feeling unmotivated. 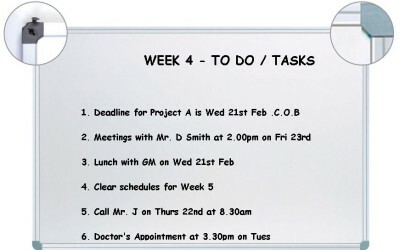 Plan your week ahead with the perfect communication tool for your home or workplace- Use a small to medium sized whiteboard to all your information easily! Corporate looking pads & planners which are great for everyday use. Smell a citrusy fruit like an orange to reduce your stress level. Exposure to lemon balm can improve cognitive performance and mood.